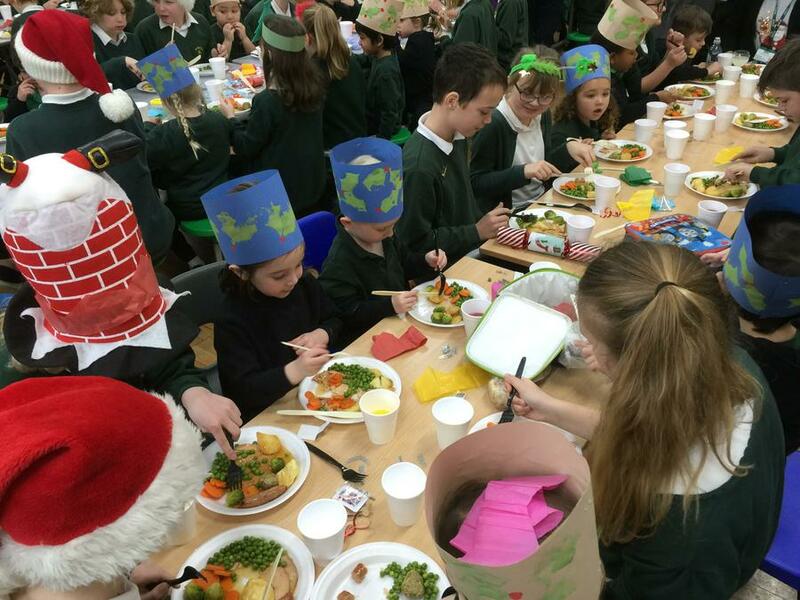 What a joy it was to see the whole school in our school hall on Wednesday 13th December enjoying a Christmas dinner or packed lunch together! 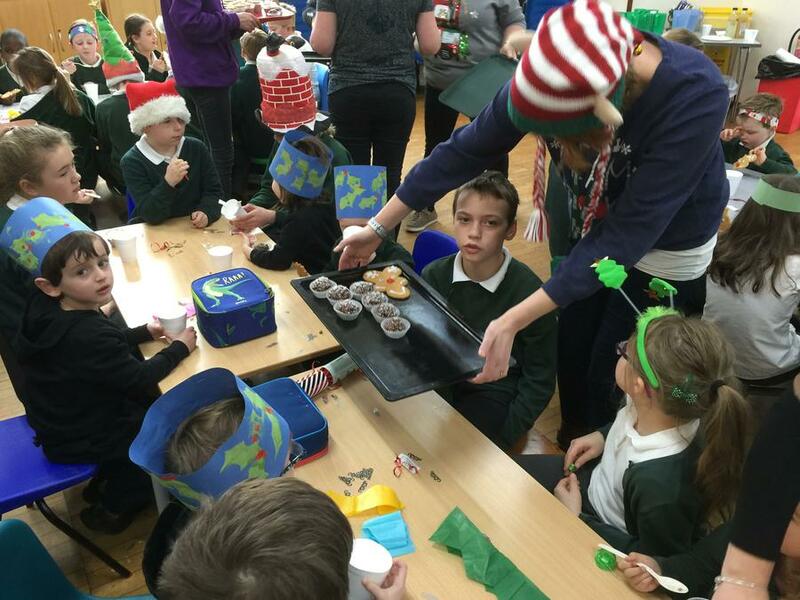 Many of the children had created their own Christmas hats for the occasion and many others were wearing hats from crackers. 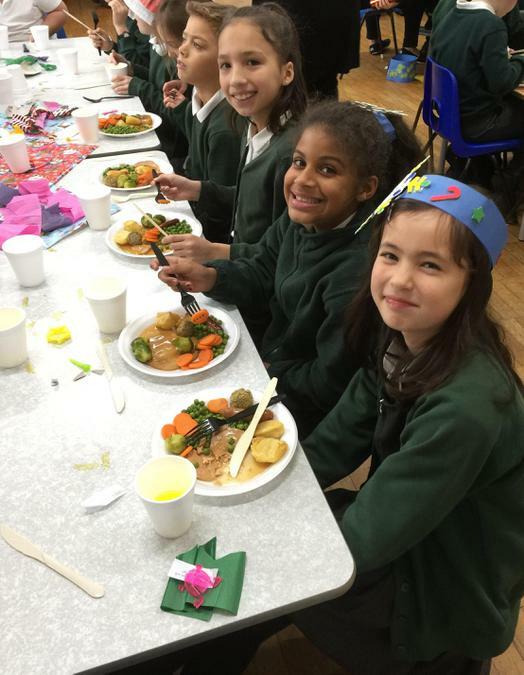 Many thanks to all of the staff for serving the children throughout the meal. 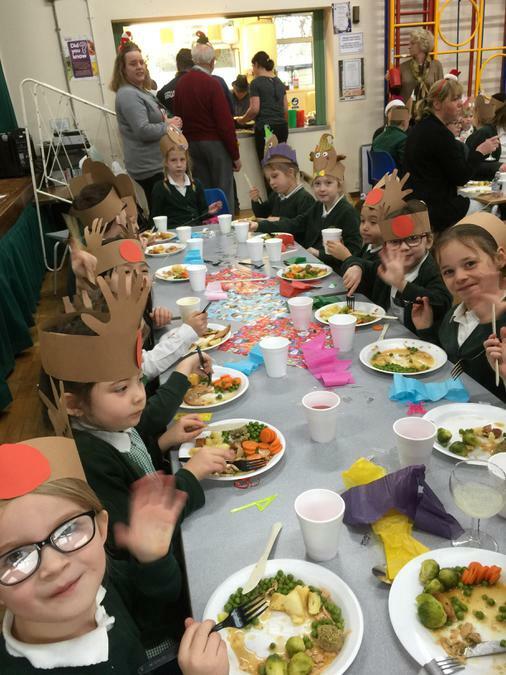 With Christmas music filling the hall, a good time was had by all! 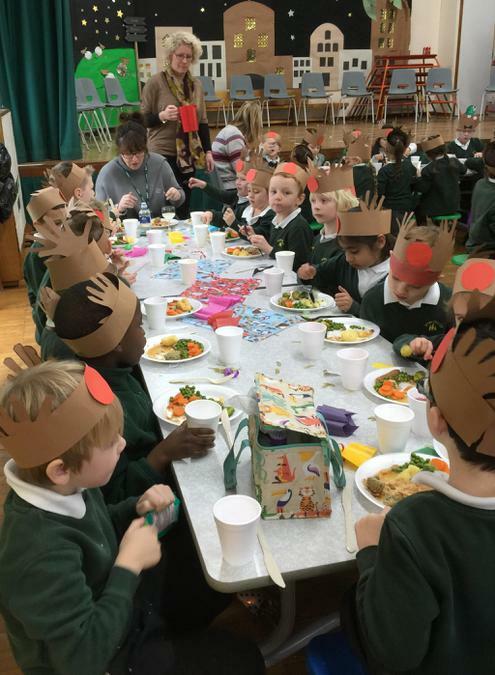 Many thanks to Mrs Maddox and Mrs Burnett for making this possible - Cooking a Christmas dinner for over a hundred children that tastes as good as that one did is no easy task! Thank you both.